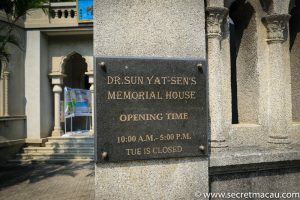 The Dr. Sun Yat-Sen Memorial House (澳門國父紀念館) is a distinctive looking building and museum where former family members of Sun Yat-Sen (‘the father of modern China’) used to live. 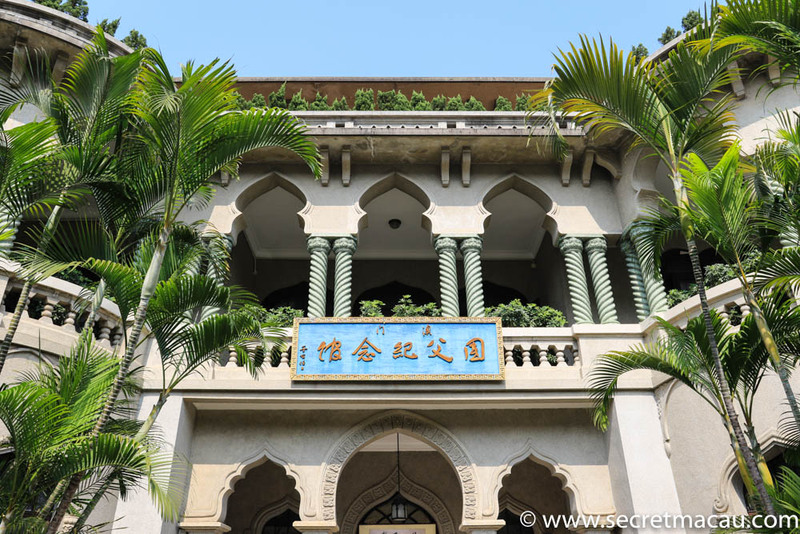 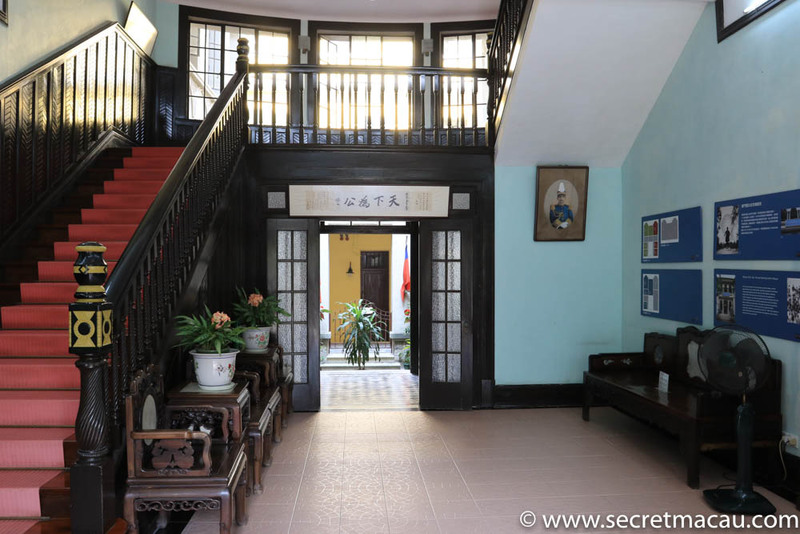 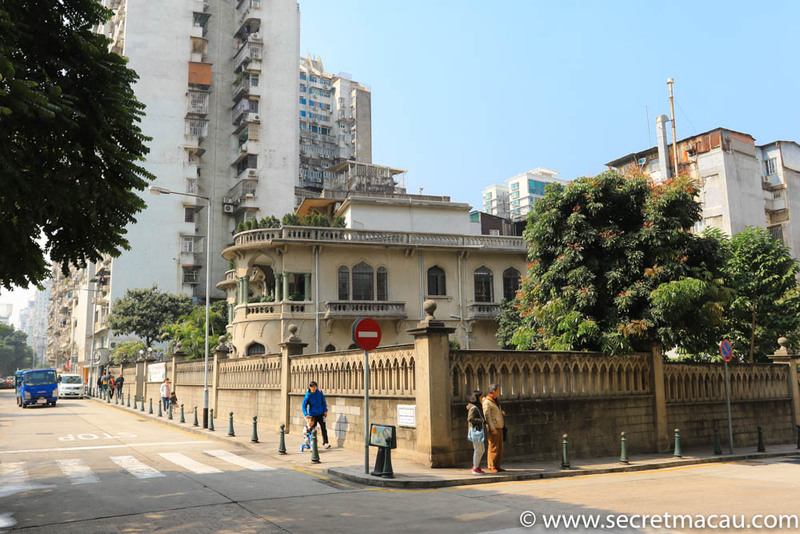 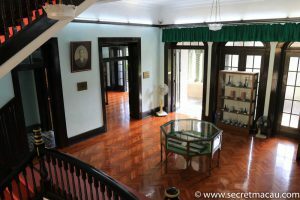 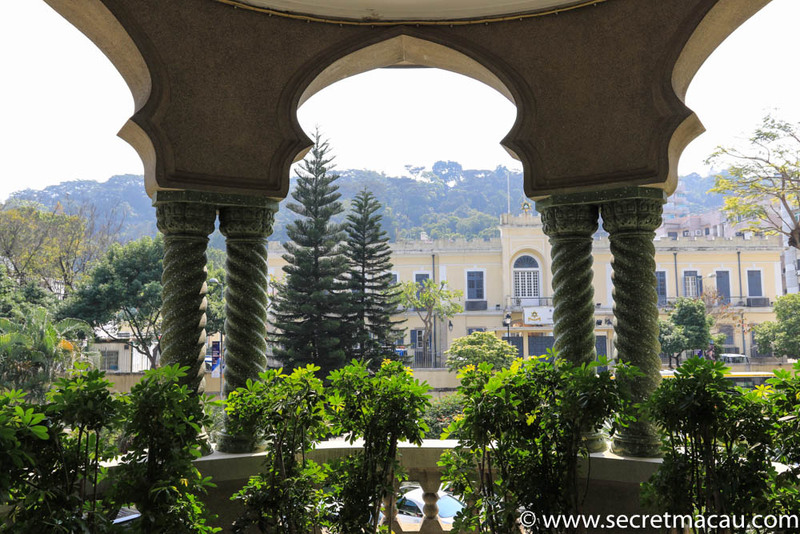 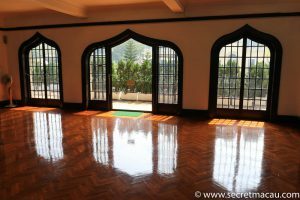 Originally known as ‘Mansion of the Sun’, the house was built in 1912 for his first wife, Lu Muzhen. 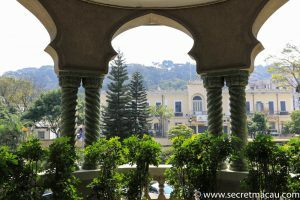 It is built in a mock-Moorish style (there is a moorish influence on several other buildings around this area of St Lazarus), with ornate verandas and large courtyards. As a young man, while studying at the Hong Kong College of Medicine, Dr Sun made regular trips to Macau, where he would often criticise the ruling Qin regime and call for revolution. 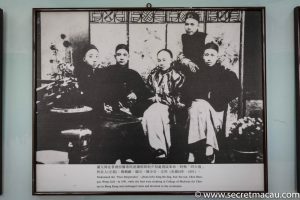 He, along with 3 friends (Chan Siu-Bak, Yau Lit and Yeung Hok-Ling) were known as the ‘Si Da Kou’ (4 Bandits). 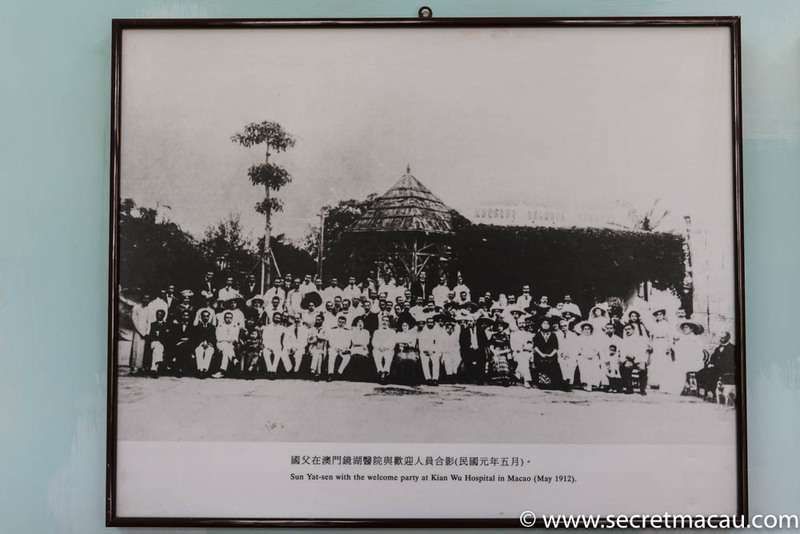 After graduating, at the age of 26 Dr Sun was invited by Kiang Wu Hospital in Macau to set up a Western Medicine department. 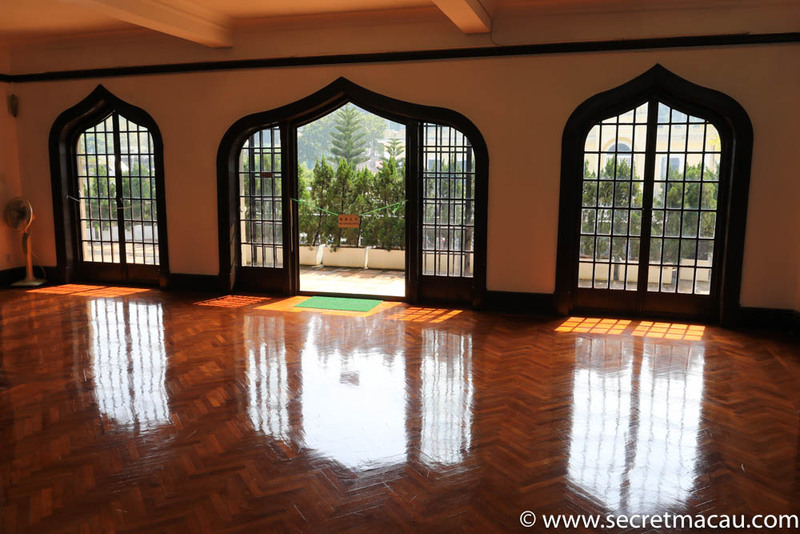 He became the first Chinese doctor to practice western medicine in Macau, which he did for free. He borrowed some funds from the hospital to then set up the Chinese-Western Medicine Joint Clinic in Rua das Estalagens, and became well known and well regarded in the community. 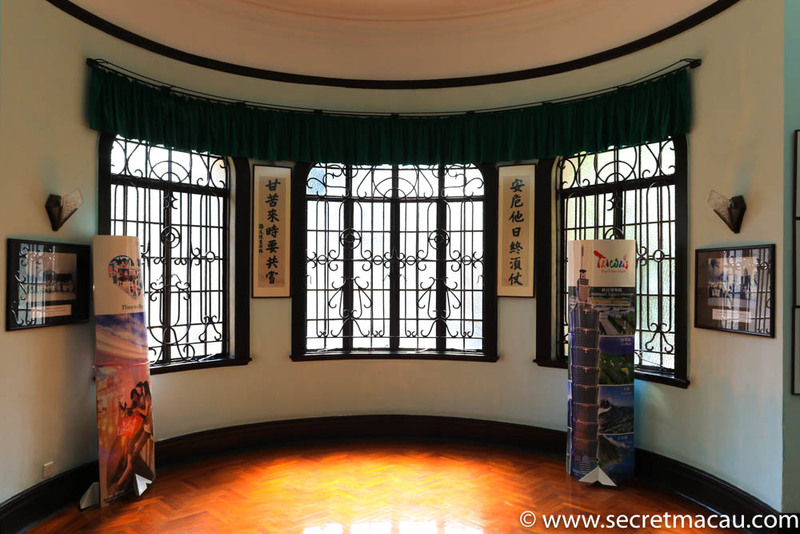 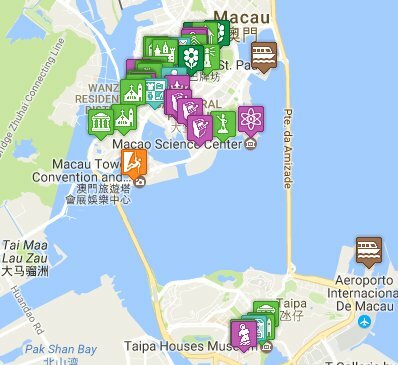 During the Chinese Revolutionary Party years, Dr Sun Yat-Sen regarded Macau as an important strategic location in southern China. The Chinese in Macau supported him, along with many prominent Portuguese citizens based there. 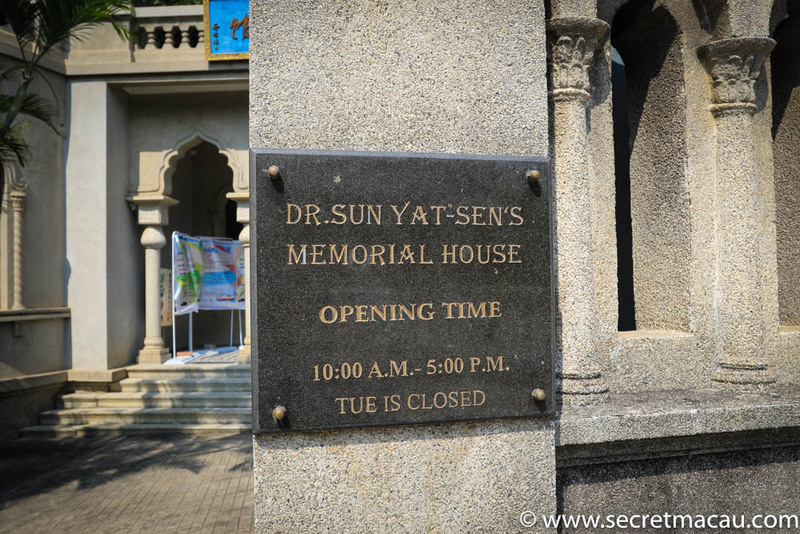 In 1912, Dr Sun made a return visit to Macau (his first in 17 years). 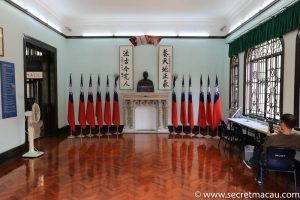 He was well received. During his visit, along with his daughter, Sun Wan, he spent 2 nights int he Spring Herb Hall (the former name of Lou Lim Ieoc Garden), which had been built earlier by Lou Lim Ieoc, the chairman of Kiang Wu Hospital (where Dr Sun set up his first medical practice at the age of 26). 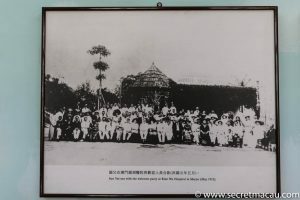 Following his death in 1925, over 20,000 people (one fifth the population of Macau at the time) attended a memorial ceremony at Kiang Wu Hospital. 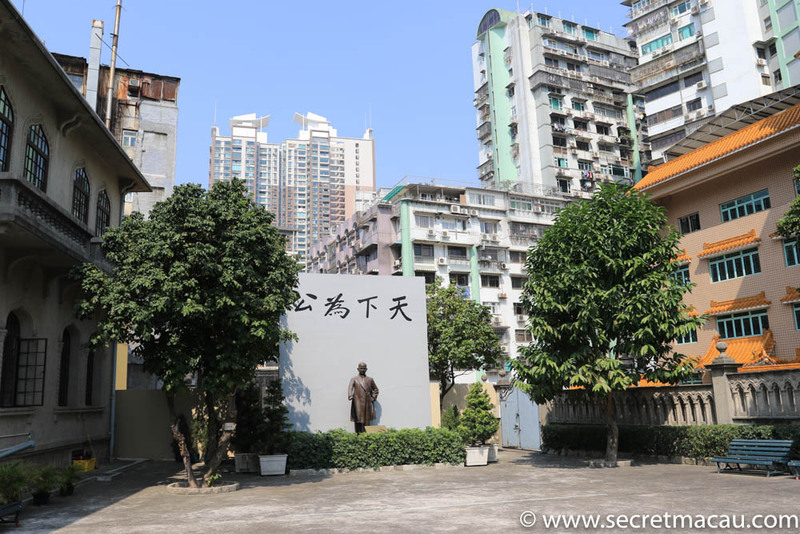 Macau has dedicated three statues, and named one memorial hall, one garden and two new roads after him.